We are east to find! Use the map below for turn-by-turn directions. 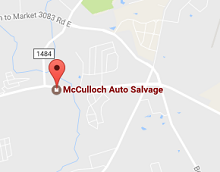 Mcculloch Auto Salvage is serving Conroe, TX and the surrounding areas.